A leading competitor in Research based Software Development and Creative Web Solutions has provided such services for medium to large Institutions and Organizations. Our prime dictum is “Customer Satisfaction” and we sustain this from the very time of our inception. 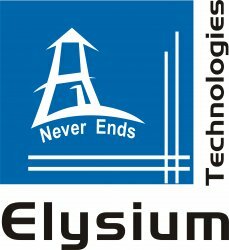 Elysium Technologies Private Ltd :: ISO9001:2008, has been in the forefront in providing Research based Software Development and Creative Web Solutions services for organizations ranging from medium scale to large enterprises. Right from the time of inception, “Customer Satisfaction” has been our primary motto. Hence there is no wonder that the organization has ramified several branches in South India including Kochi, Chennai, Trichy and Madurai. We foster the creativity of future IT professionals to make them ready for MNC jobs by offering pure IEEE projects, which are renowned worldwide. We, the genuine member of IEEE. Our highly qualified staff has a rich experience in development of real time projects. They will provide all the technical assistance the students require to give life to the algorithm the student formulates from the IEEE abstract. We are proud to mention here that in the recent past hundreds of PhD, MS(UK, USA) research scholars have pursued their project work with us and all of them are faring well in their profession. We are currently offering the latest 2010 IEEE papers. We are glad to welcome you to the world of IEEE,2010 Projects. We have exclusive final year projects for engineering students, PG students and M.S, Ph.D research scholars. We also offer in-plant training for college students. Our thirst for knowledge and commitment never wanes and this has led us to a rapid growth within a span of few years. 24/7 Helpdesk system takes away the time barrier between us and students. We extend support for a wide variety of domain and technical tools including Java/J2EE, .NET, NS/2, Matlab, OPNET, OMNET, GridSim, Globus, etc., for final year projects, final year projects also implemented in Web Application like Dot Net, Php etc. Our commitment will continue till the stage of submission and demo of project work at the university/college lab. So our final year projects will build self esteem of the students and enable them to dace real time project challenges confidently. Irrespective of the domain of projects and the tool used to implement the project, all BE projects, ME projects, PhD Research, MCA projects are purely 100 percent IEEE projects. • Creditable team with an excellent track record. • Both Software and content website development expertise. • Ready infrastructure and lower overhead costs. • Strong & Creative design skills. Elysium Technologies is a place where Clients gain knowledge and care. And our “24/7 Ready to Serve” Development Sector offers you to world class facilities for prompt and time saving services. They will be fulfilled with the following facilities. • Clients are always welcome at any time for clarification in person or over phone.